End of Summer Teach Abroad Sweepstakes! LanguageCorps, an Internationally recognized organization that offers programs for people interested in teaching English abroad, has announced their end of summer sweepstakes, including the grand prize of a free program for the winner. The Facebook contest will feature three prizes, with the grand prize being a free TESOL Certification Program in Southeast Asia. Second prize will be a Powerbag Messenger bag, which features a built in battery for smartphones and gadgets to be charged on the run. Third prize is a Joby GorillaPod flexible tripod to help teachers to capture their adventures on film. LanguageCorps offers unique programs that combine TESOL and TEFL training and certification, along with assistance finding a paid job following completion. The availability of paid teaching positions abroad remains high, even in tough economic times. Teachers can embark on a life-changing and resume-building experience in Italy, Spain, Russia, Cambodia, Thailand, Brazil and Peru, among other locations. LanguageCorps offers assistance in 23 different locations throughout Asia, Europe, Latin America and The Middle East, and can provide teachers with accommodations, excursions, job placement assistance, and other support services. The winner of the sweepstakes will receive free participation in a teach abroad program in Thailand, Vietnam or Cambodia, for a truly life-changing adventure. Entrants can simply visit the LanguageCorps Facebook Page and enter the contest from there. The winner will be chosen 30 days after the start date, and will be notified immediately. Valid programs in Asia include Cambodia, Thailand and Vietnam. Participants begin in Cambodia for a training session, and then travel to their eventual destination to teach English as a second language. The Facebook sweepstakes is a once-in-a-lifetime opportunity for the lucky winner. The contest will run until October 18, 2013. The three winners will all be notified by email, and must respond promptly to claim their prize. 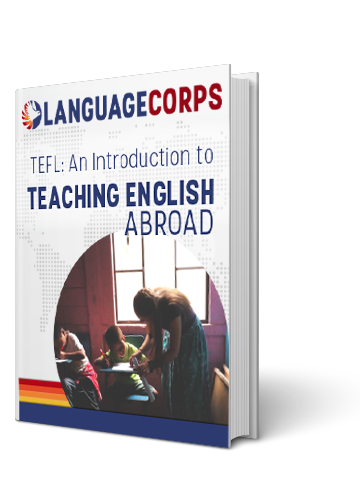 LanguageCorps is thrilled to be able to offer this opportunity for talented people to travel the world and teach English in other countries. Teaching English abroad is a great way to live in another culture, travel, and gain professional paid work experience, and there is no better time to start than now!